Any project can be defined as a temporary and unique endeavor to produce a desired result, product or service through progressive elaboration and implementation and under certain constraints and requirements. This definition proves that for every project there are certain characteristics that define the nature and type of the project. In this Project Characteristics Checklist we give key characteristics of a typical project. Time. Define the total amount of time (overall duration) that is required to take your project through the implementation lifecycle. Cost. Estimate the total amount of financial resources required to cover estimated expenses and deliver the project. Boundaries. Define the functional and operational boundaries of the project (what is in and out of your project). Scope. Use SOW (Statement of Work) as the basis for establishing scope for your project. Deliverables. Use customer/user expectations to define requirements for project deliverables. Stakeholders. Identify the level of stakeholder involvement that defines the extent of influence of stakeholder decisions to your project. Activities. Define key activities and tasks required to perform the amount of project work. Milestones. Place checkpoints on your project schedule to set time and date within the project lifecycle to define when you will check scheduled activities against the baseline. Reviews. Set time and date when you will review status of project activities and compare actual results against planned ones. Commitment. Place commitment dates on the schedule to define a time guarantee for every activity scheduled. Time limits. Place start date, finish date and durations for every activity scheduled. Funds. Use the funds request that is created at the initiation phase to get the total amount of funds requested as investments for the project. HR. Use a team organizational chart to get names of people involved in the project and their roles and responsibilities. Inventories. 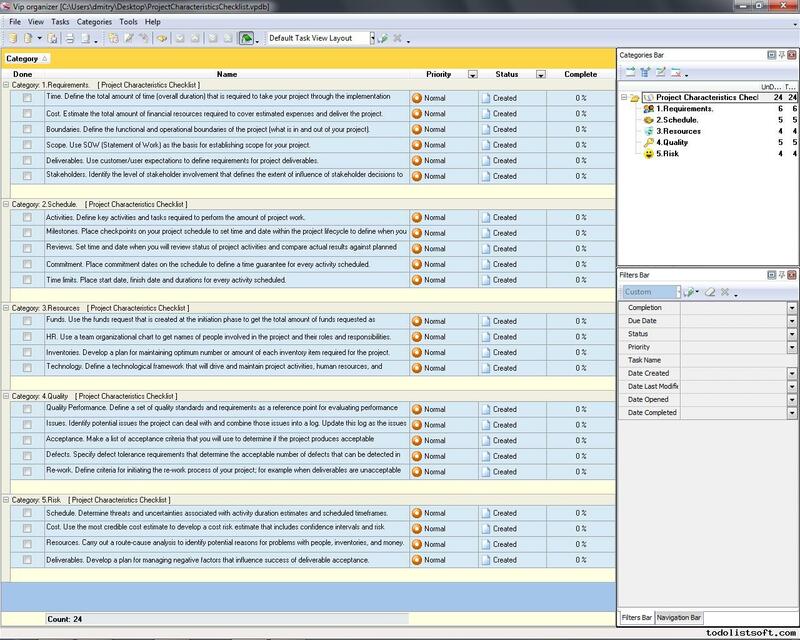 Develop a plan for maintaining optimum number or amount of each inventory item required for the project. Technology. Define a technological framework that will drive and maintain project activities, human resources, and information flows. Quality Performance. Define a set of quality standards and requirements as a reference point for evaluating performance and quality. Issues. Identify potential issues the project can deal with and combine those issues into a log. 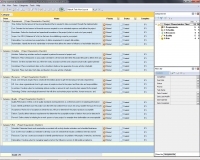 Update this log as the issues arise during the project lifecycle. Acceptance. Make a list of acceptance criteria that you will use to determine if the project produces acceptable deliverables. Defects. Specify defect tolerance requirements that determine the acceptable number of defects that can be detected in the project product. Re-work. Define criteria for initiating the re-work process of your project; for example when deliverables are unacceptable because of defect tolerance exceeded, so the project plan requires re-work. Schedule. Determine threats and uncertainties associated with activity duration estimates and scheduled timeframes.